Republican South Carolina Governor Nikki Haley, facing a tough re-election fight in November, is wasting no time throwing darts at her favorite target: organized labor. Haley’s first TV campaign ad of the year revisits a 2011 complaint filed against Boeing by the National Labor Relations Board (NLRB) for illegally retaliating against IAM members in Washington state. 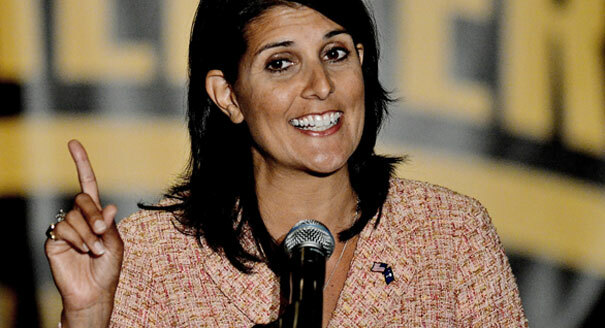 “When labor union bosses and Washington bureaucrats tried to stop Boeing from bringing thousands of jobs to South Carolina, Nikki Haley fought for us, and won,” the ad proclaims. But the TV spot skips over the fact the NLRB was doing its principle job – defending a workers’ federally-protected right to organize and bargain collectively without the fear of retaliation. South Carolina’s own state law also explicitly prohibits discrimination against workers for membership in a labor union.